TeleCare helps in the management of risk and supports independence through the use of wireless sensors placed about the home. TeleHealth is the management of long term conditions via remote monitoring of vital signs using equipment in the patients home. 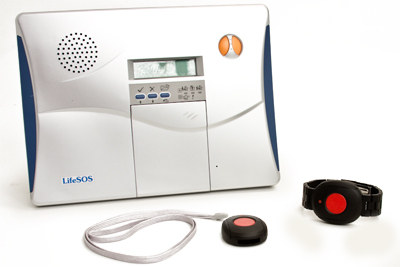 The LifeSOS LS-30 Personal Emergency Response System (PERS) or Medical Alert System. The Companion System is simple to use and easy to install. The system can monitor multiple medical alert buttons, and is the base unit for all our systems. The LifeSOS LS-30 Caregiver System was designed specifically to meet the needs of clients with complex and evolving health care monitoring requirements. The Caregiver System offers many unique features that makes it one of the most advanced telecare systems on the market today. 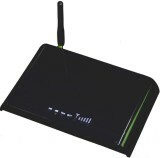 e-Monitoring Services offers the Wireless Voice Link (WVLink) a standalone Fixed Wireless Terminal providing GSM cellular support for two devices. The WVLink can be used with the Companion, Caregiver or MedReady to provide Cellular service over the mobile phone network. e-Monitoring Services has developed an early warning system which provides detailed information showing the clients activities of daily living routine. Our ADL solution was designed to promote "aging in place" and utilizes advanced telecare sensors that can notify you of potential wandering, sleep habits, medication compliance, and live video confirmation. e-Monitoring Services offers several monitored versions of the MedReady Automated Medication Dispenser. This unit can be used as a stand alone pill dispenser or in conjunction with the Companion, Caregiver or eHealthView Systems providing immediate notification to the caregiver of any noncompliance that occurs. © Copyright 2009-, Anderson Industries,Inc. All Rights Reserved.